Why CO2 Laser Engraving Machine Help Expand Skateboard Production Business? – Blog of Fiber Laser Cutting Machine, Fiber Laser Marking Machine, CO2 Laser Engraving and Cutting Machine. Why CO2 Laser Engraving Machine Help Expand Skateboard Production Business? Skateboard always reminds us of happy childhood, energetic teenagers and many beautiful memories about youth. The patterns and designs printed on skateboard are changing with times, and laser engraved skateboard is now pretty popular among youngsters. Based on the techniques of CO2 laser engraving machine, skateboard production modes has been upgraded and expanded. The following 3 reasons can make an explanation on why laser engraved skateboards are welcomed widely by young people. 1. Wooden skateboard body is applicable for CO2 laser engraving technology. Professional wood laser engraving machine excels at engraving wood and wooden products so that it engraves well on the surface of wooden skateboard. 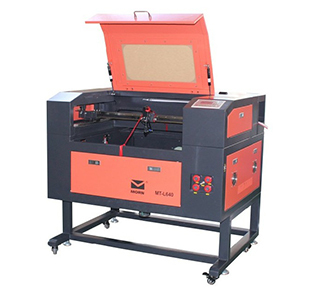 General CO2 laser engraving machine is also capable of engraving wood as well as other materials, and it can be chosen if your business involves engraving different materials. 2. Customized images cater to young people’s pursuits for individuality. Images or patterns engraved on skateboard can all be customized as individual need, which rightly meets the needs of young people who tend to show themselves and their personalities with the skateboards. Skateboard producers only need to input the images selected by young customers into the computer that is connected with CO2 laser engraver. Then just let the machine do all the engraving work. In this way, skateboard producers can sell their products at a little higher price, making more profits and expanding business. 3. Highly precise engraving results can last longer than printed images. CO2 laser engraving machine can engrave on the surface of skateboard body with high precision and quality, of which the engraving depth can be adjustable according to the differences of images. The engraved images on the skateboard are superior to traditional printed images in that they are not easy to fade out and can last for a very long time. Printed images on skateboard are likely to fade or disappear with longtime use, while the laser engraved ones can be firmly retained. As skateboard culture becomes more and more popular among worldwide young people, laser engraved skateboard will has bigger market and development prospect. So if you want to upgrade your business with a CO2 laser engraving machine, we can provide you with best laser solution and high quality CO2 laser engravers. Learn more about MORN LASER products? Get a quotation? Please send comments to us and we will reply you in 24 hours. Thank you!